Strategic workforce planning is defined as "the discipline of forecasting future gaps between supply and demand of critical talent, to ensure that you have the appropriate workforce mix" in a long term time frame (three, five or ten years down the road). The goal of workforce planning is to reduce the risk to business associated with workforce capacity, capability and flexibility, by preparing for and addressing talent management issues before they arise (issues are always easier to address before they become problems). Human Resources (HR) should not be held fully responsible for workforce planning. The success of workforce planning is the result of collaboration within multiple units of a company, and lies within business strategy. The business unit within a company are responsible for their strategic plans, and human capital requirements are no less a part of strategic business plans than the operational, financial or technical aspects. Although HR should not be viewed as having an ownership position in workforce planning, they do hold a crucial role. 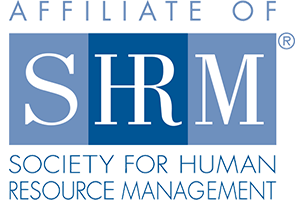 HR managers must be the stewards of a successful workforce plan by providing expert consultation throughout the planning process. They must articulate the value of strategic planning by supplying the necessary tools or processes, as well as directing business managers to examine the factors that drive the workforce demand. HR must also help the business units connect their strategies to human capital needs, and ensure that the required workforce is delivered. Ultimate success is dependent upon collaboration amongst both the business and HR teams. When creating your workforce plan, you must be future oriented. Don't focus your plan on a set time frame -- you want to be prepared not just for 5 years from now, but for 7, 9, 12 and so on. It is also imperative to know how your plan will evolve throughout intermediaries. Think about the big picture in the long run, rather than reaching short-term goals. Plan ahead for business changes that are estimated to occur within or beyond a forecasted time frame. Start small, with just a few critical job roles. This will allow ample time for the process to be tweaked, tailored and refined. Trying to tackle strategic planning for an entire company right out of the gates can be overwhelming and end in disaster. Starting small provides time to understand what tools are needed for the planning process, and how to make the plan work effectively with in your company's culture. Additionally, starting small will establish credibility and support within your company. HR needs to be able to communicate workforce plans and answer questions regarding the plan's return on investment (ROI) to the business units. This enables a translation of the workforce plan into a financial value that business units can easily comprehend. Business unit leaders can then make decisions on strategic planning using the same criteria and processes used in other areas of strategic planning for the company. The most crucial factor of workforce planning is implementing the necessary processes to successfully bridge the gap between the current workforce (the supply) and the future workforce needs (the demand). Often, the strategic planning period becomes so drawn out that it evolves into more of an exercise than an actual active plan that is implemented. Each business unit (including HR) should have someone to hold accountability for ensuring that the plan is actually put to use. These facilitators will oversee particular tactics, time frames, budgets, as well as provide updates and metrics for the monitoring of progress. Successful strategic workforce planning requires a unique blend of proficiency and skills. The center of workforce planning is business strategy, so the critical capability of a successful workforce planner must be business acuity. Finding people with these particular attributes can often be difficult. This is the primary reason companies often start with outside consultants. Consultants will train HR and business units, while providing the necessary technology and support during the first few planning processes. Creating and implementing a successful strategic workforce plan will allow your business to have the right people, in the right places, at the right time.